Hey dudes! We’re already at the 0.9.5 and I’m starting to wrap things up. 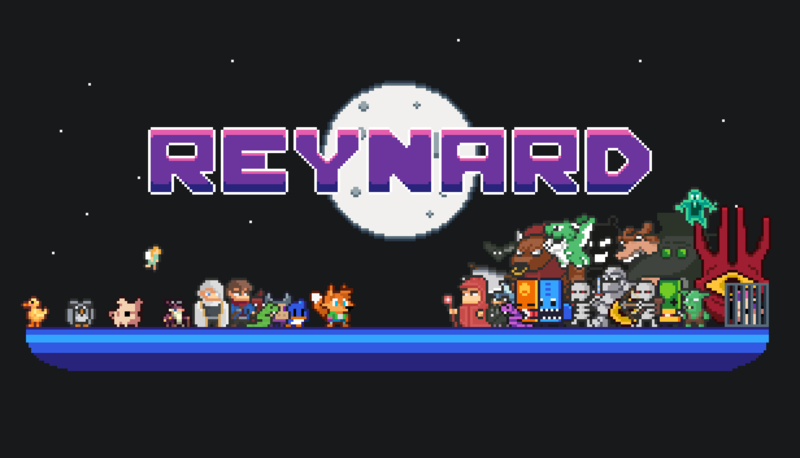 I think that Reynard will get out of early access in the end of February. So approximately 5 more weeks (5 updates)! Each boss now has 3 difficulties. Let me explain it on Dexter. Until now if you faced him in the “Terra” dungeon (yeah… dungeons now have names), his level wouldn’t be any different from if you’d met him in the “Infernia” dungeon. And this kind of bothered me. That’s the reason why I’ve added changes to the levels based on when and where you meet the boss. Check out pictures of Dexter down below (I don’t want to spoil the other bosses). Skeleton archer brings a nice addition to the enemies. He’s faster and stronger than other ranged baddies. It’s always interesting to observe others play your game. For example I’ve been watching a streamer RadioHupfen when he played Reynard. Observing him made me see some places for improvement. When he came to the tower defense part, he didn’t really know how to place down turrets and he got confused by the blueprint machine. This was a clear mark that a blueprint machine doesn’t belong in the tower defense part of the game. Because it’s purpose is similar’s as ducky’s. You unlock the blueprint and then you play the game. Until now there was fade-in before each scene starting… It isn’t too bad, but it sure doesn’t add the premium feel as unraveling black bars with an area name and a roadmap which helps the player plan ahead. Terra’s brown color started to bore me. It’s the dungeon which the players will see most of the time and it should be more appealing to the eye. In a previous update I’ve added water tiles which helped, but the floor itself still wasn’t interesting enough. So I’ve added some green grass which adds a nice contrast to the dungeon. [ENEMY] Added a skeleton archer. [FEATURE] Loading screen changed. Added the area info at the beginning of the scene and a roadmap. Transitions between scenes are now more “polished”. [FEATURE] Bosses now have different difficulties. For example if you face Dexter as a second boss he’ll have bumper traps around his area. If you meet him as third there will be bumper traps + flames. [FEATURE] Using a health potion now heals your weakest companion / ally for 50% of potions healing power. [MINOR] Turrets are now automatically sold when you finish the invasion. [MINOR] Reynard is now looking up when he spawns in the boss room or invasion. [MINOR] Blueprint machine now only appears in the last level of invasion. [MINOR] Papa John now appears only in the first level of invasion. [MINOR] Papa John is now hidden until you clear the “stairs” room. [MINOR] Fairy stops healing Reynard if he has full HP and continues when he gets hurt. [MINOR] Named the dungeons: Terra, Infernia and Glacia. [MINOR] Added outline to HUD’s numbers. It increases the invisibility in the Glacia. [MINOR] Destroy particles now spawn in front of the item being destroyed. [MINOR] Changed some pebbles in Terra to grass. [MINOR] Added description to the daily run. [BALANCING] Buster Sword’s starting damage nerfed by 50%. [BALANCING] Buffed the Ifrit’s boot’s fire damage. [BALANCING] Dexter’s charge damage nerfed from 5 to 3. [BALANCING] Reduced starting stamina from 20 to 10. [BALANCING] Dash stamina cost reduced from 1 to 0.5. [BALANCING] Lowered prices of Max Stamina and Max Health cost options in shrines and libraries. [BALANCING] Lowered gold price at the silver key shrine. [BALANCING] Nerfed Xeno Turret’s damage. It has to hit golems twice to kill them. [BALANCING] Buffed Triple Turret’s damage. [BUGFIX] Selling turrets doesn’t give you bonus gold anymore. [BUGFIX] Fixed 8 buggy room cells. [BUGFIX] Fixed the bug when sometimes icons disappeared from the minimap.